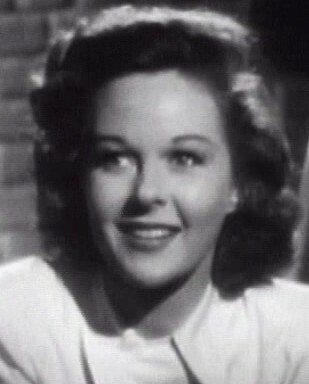 Susan Hayward grew up very poor in Brooklyn, New York during the 1920's. She got her start in Hollywood when she was asked to audition for the part of Scarlett O'Hara in Gone with the Wind. In December 1964, she was baptised a Catholic, however she had a life long interest in the supernatural, and regularly consulted astrologers. The reason for this interest may be traced to a childhood incident that proved to be most intriguing! Susan (born Edythe Marrenner) had a brother who was born prematurely, and with stomach problems. This was in the 1920's and it was a miracle that he survived. By age three the poor boy was forced to wear leg braces. "Take the braces off; he'll be all right." Instead of going on to the clinic Susan's mother turned around, and took the boy home. There she took the braces off of her boy's legs, and to her utter amazement he took a few steps! Within one month the boy was running around just like any other healthy child. Who was this stranger? Who knows.....but Susan like her mother believed this was proof of the supernatural, and throughout her life she accepted omens, listened to prophecies, and consulted astrologers.